A mini something new this week! I hope everyone is having an absolutely lovely Friday! 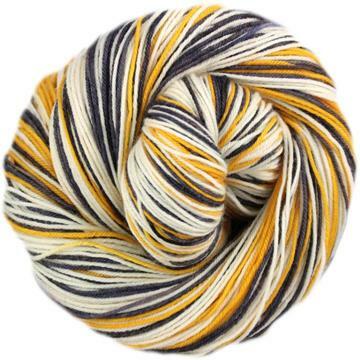 First up this week, I've uploaded a super limited number of stripey mini skeins to the shop. You can see them all here. 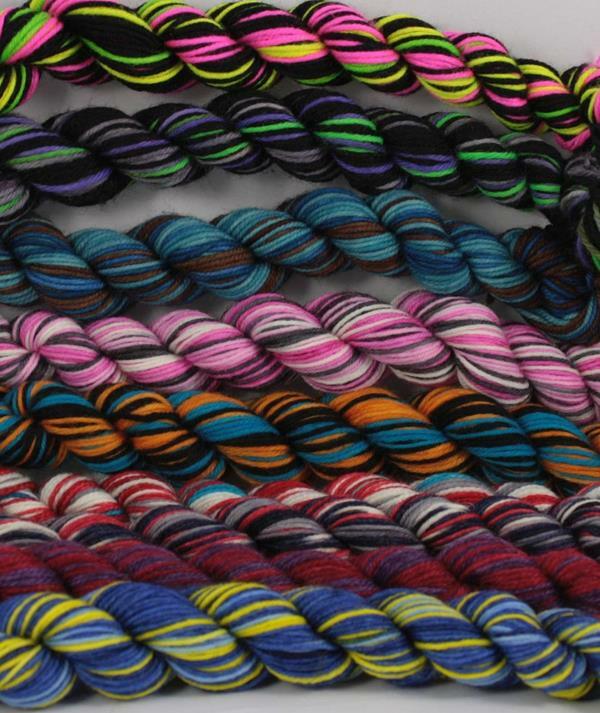 I get a lot of questions about which base I think is best, and I know how hard it can be to decide on a yarn just from a picture and a description on the internet. So, I've uploaded minis of each of our yarn bases so you can give them all a try if you like! You can either purchase a full set of minis (9 bases), just sock weight (6 bases), or just sport weight (3 bases). I'll only have time to wind more of these very infrequently, so make sure you grab a set when you can! 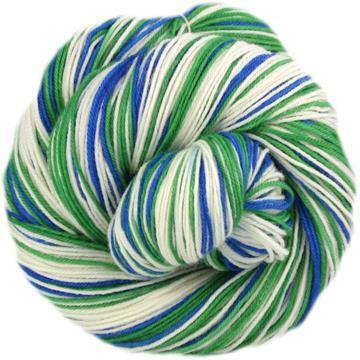 I've uploaded 6 new colors of heel/toe skeins this week, some of which match up with colors from this update, and others which work perfectly with last weeks update. 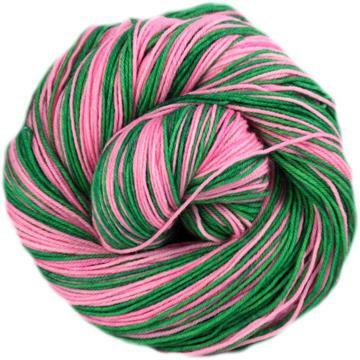 If you're looking for heel skeins, make sure to go here! Click on the name of each colorway to be taken to that colors page on my site--you'll be able to see all the bases I have available in that color!